We buy, sell AND REPAIR, used and refurbished Alcatel equipment. Contact us with your requirements or list of items for sale. SALES@2KEANE.COM 1-407-936-1310 LEGACY ELECTRONICS CORP. ..
We supply quality used/refurbished Alcatel equipment. We also REPAIR and can help you resell your used/excess. LEGACY ELECTRONICS CORP. 1-407-936-1310 www.refurbtelco.com sales@2keane.com .. Contact us for quality refurbished Alcatel equipment. Standard 90 day warranty on used parts. International shipping. BUY/SELL AND REPAIR 1-407-936-1310 sales@2keane.com LEGACY ELECTRONICS..
We buy/sell and repair Alcatel equipment. World wide sales of quality refurbished equipment with standard 90 day warranty. LEGACY ELECTRONICS CORP sales@2keane.com 1-407-936-1310 3HE05946BA01..
We buy, sell and repair Alcatel equipment. Contact us with your buy, sell or repair requirements. LEGACY ELECTRONICS CORP. sales@2keane.com 1-407-936-1310 3HE06319AA01 IPUCA191AA 7750 SR-12..
WE REPAIR, SELL AND BUY USED/EXCESS FUJITSU FLASHWAVE. Send us your shopping list or list of equipment you have for sale. LEGACY ELECTRONICS CORP. sales@2keane.com www.ibuywireless.com ..
We sell, repair and buy used Fujitsu Flashwave equipment. Contact sales@2keane.com LEGACY ELECTRONICS CORP www.LEGACYELECTRONICSCORP.COM 1-407-936-1310 FC9565ALC1 WOGUAEYMAA WOGUAEY.. If you need used parts with warranty Fujitsu Flashwave equipment, have used Fujitsu for sale or require repair services to any of these items, please contact us at sales@2keane.com 1-407-936-1310..
We supply quality used/refurbished Nortel Central office equipment. We also have repair services for Nortel as well as many other manufacturers of high end communications equipment. Send us your..
We offer repair services for most Calix equipment and we can supply quality used/refurbished Calix with warranty. Contact us with your requirements. Legacy Electronics Corp. 1-407-936-1310..
We offer REPAIR and/or REPLACEMENT of Alcatel/Lucent CBX500 and GX550 equipment. Used/refurbished comes with standard 90 day warranty. Contact us with your requirements. sales@refurbtelco.com Legacy..
We REPAIR and also supply hot spares for Cisco ONS 15454 series equipment. Contact us with your requirements. seller@ibuywireless.com www.ibuywireless.com LEGACY ELECTRONICS CORP. 1-407-936-1310..
We REPAIR and supply used/refurbished parts for Alcatel/Lucent Wavestar and other series. Contact sales@2keane.com LEGACY ELECTRONICS CORP. 1-407-936-1310 www.legacyelectronicscorp.com Contact.. Hot Spares and quality refurbished parts with warranty for Alcatel/Lucent Wavestar and other series. Contact sales@2keane.com LEGACY ELECTRONICS CORP. 1-407-936-1310..
REPAIR SERVICES for Nortel/Ciena equipment. Also, we supply used/refurbished parts with warranty. Contact us at sales@2keane.com LEGACY ELECTRONICS CORP www.ibuywireless.com 1-407-936-1310 with your..
We REPAIR and supply used/refurbished Nortel/Ciena equipment. 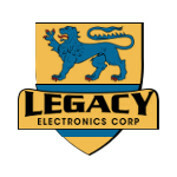 Contact us for a quote LEGACY ELECTRONICS CORP. 1-407-936-1310 sales@2keane.com www.ibuywireless.com www.refurbdatacom.com ..
International re-sellers of used/refurbished/overstock Cisco, Ciena, Nortel, Fujitsu, Siemens, Nokia, Motorola, Alcatel/Lucent, Dialogic, NMS, Adtran, Polycom, Ericsson and all major communications..
CISCO IP PHONES used/refurbished/overstock Cisco, Ciena, Nortel, Fujitsu, Siemens, Nokia, Motorola, Alcatel/Lucent, Dialogic, NMS, Adtran, Polycom, Ericsson and all major communications &..
CISCO NEXUS. USED WITH WARRANTY. re-sellers of used/refurbished/overstock Cisco, Ciena, Nortel, Fujitsu, Siemens, Nokia, Motorola, Alcatel/Lucent, Dialogic, NMS, Adtran, Polycom, Ericsson and all..